This is a sponsored post written by me on behalf of Albertsons. Last Monday, my 7-year-old daughter came into my bedroom at 4 am, and woke me up to tell me she had thrown up. We got her cleaned up and bundled up on the couch, where she spent the next 12 hours sleeping. Then, as suddenly as the sickness came, it was gone and she was back to normal! It always amazes me how quickly children recuperate from a sickness! Having two young children, (one in grade school and the other in daycare) we get our share of illnesses during the winter. Things like colds and the flu also tend to migrate throughout the entire family, so once one of us gets it, we all get it. My father, who is an EMS Professor, told me that he has only taken 2 sick days in 20 years of teaching. He attributes his wellness to regular hand washing. This year, I am determined to drill into my children the routine of regular hand washing. I am having them wash their hands before every meal, after using the bathroom, after feeding our chickens, after playing with communal toys, and after being around anyone who is sick. I also created a batch of homemade soaps for kids that have hidden toys inside, to really get them excited about washing their hands. 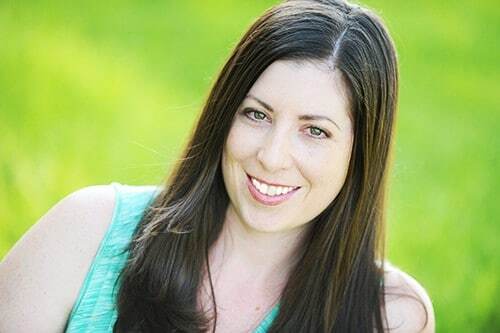 We’ve all heard the adage that there are no sick days for parents, and it’s so true! My children still need to eat, even when I have the flu. My daughter still needs help with her math homework, even when I have a cold. My two-year-old son needs to continue potty training, even when I have a stomach bug. 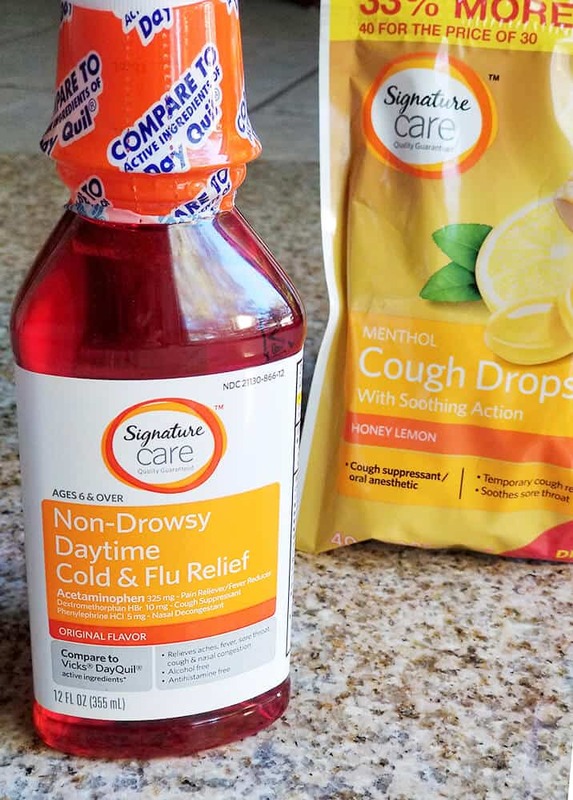 I’ve learned that it is so much harder to load my kids up in the car and haul everyone into Albertsons to get my Signature Care Cold & Flu Liquid Daytime and Nighttime medicine, when I’m sick and feeling like I got hit by a bus. 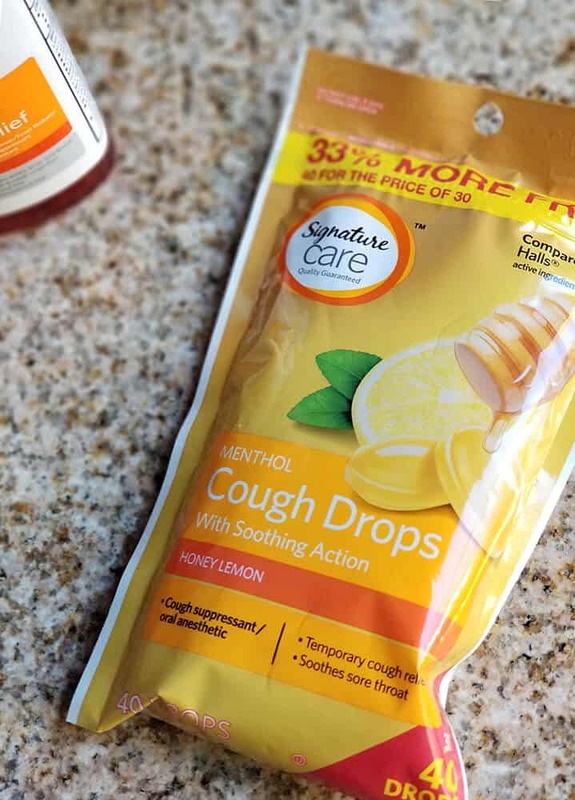 This year, I decided to stock up on the Signature Care products I need, before I ever get sick. That way I can start treating my symptoms the moment they show up. I choose Signature Care products because they provide effective and affordable products with the same quality of national brands. 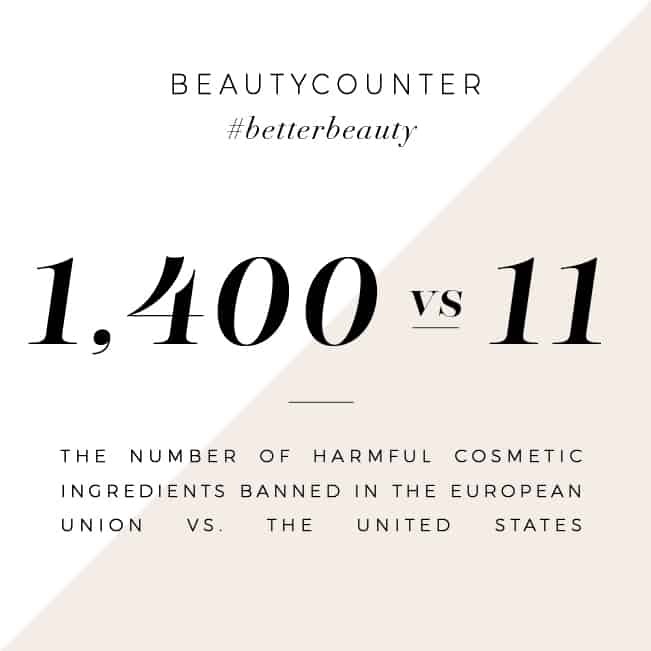 They are subject to the same manufacturing standards mandated by the FDA. They are also pharmacist recommended, and come with a 100% satisfaction guarantee (or you get your money back). In the Albuquerque area, Signature Care products are available exclusively at Albertsons, but you can find them at all Albertsons Companies family of stores, including Safeway, ACME Markets, Jewel-Osco, Vons, Pavilions, Randalls, Tom Thumb, Shaw’s, Star Market, United Supermarkets, Market Street, Albertsons Market and Carrs/Safeway. As someone who loves to cook, my favorite place to shop for meats and fresh produce is at Albertsons. I love that I can find all of the essentials for my family there, too! I love knowing that I am prepared in case I get a cold or the flu this winter. 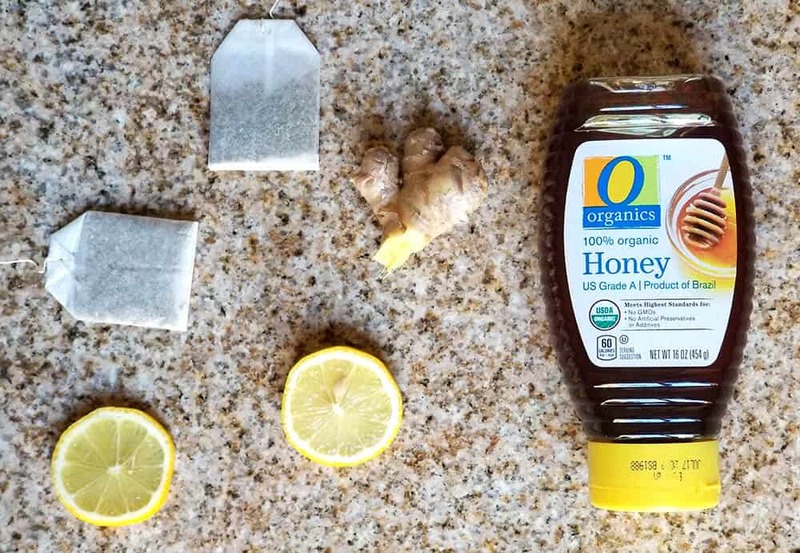 When my children or I get sick, I love being able to offer something sweet that will help soothe a sore throat. That’s why I’ve started making popsicles with chamomile, lemon, ginger and honey! The best thing is that my kids love them, even when they’re not sick! While I stocked up on Signature Care products at Albertsons, I also grabbed all of the O Organics® products I needed to make my popsicles! 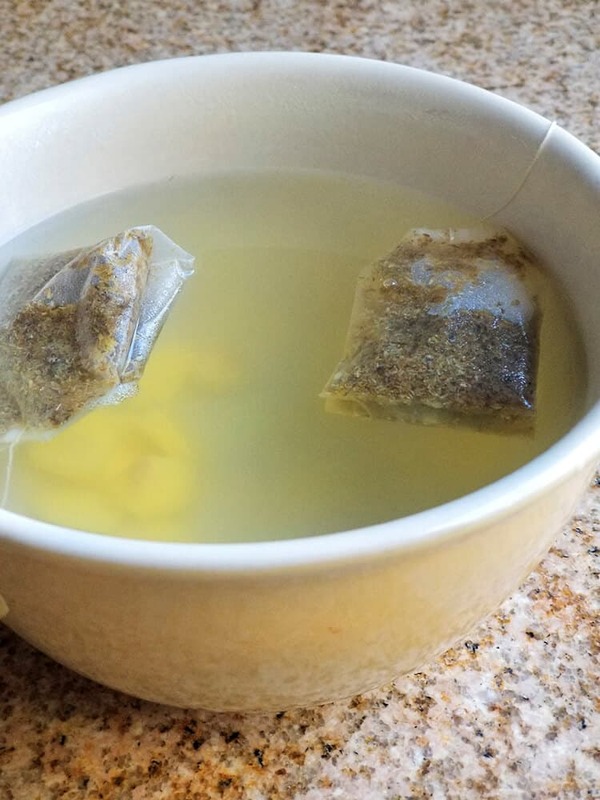 Meanwhile, place chamomile tea bags, ginger, honey and lemon juice in a bowl. Pour boiling water on top of the ingredients and allow to steep for 10 – 15 minutes. Remove the tea bags and ginger slices. Once cooled, pour liquid into popsicle molds and freeze. It can be tough eating when you have a sore throat or an upset stomach, but keeping hydrated and nourishing your body with good ingredients can help! Here is a recipe for Creamy Roasted Cauliflower & Red Pepper Soup to help you fight a cold or flu. Do you have any favorite meals you enjoy when you’re sick? Leave a comment below and share it with me! Great ! 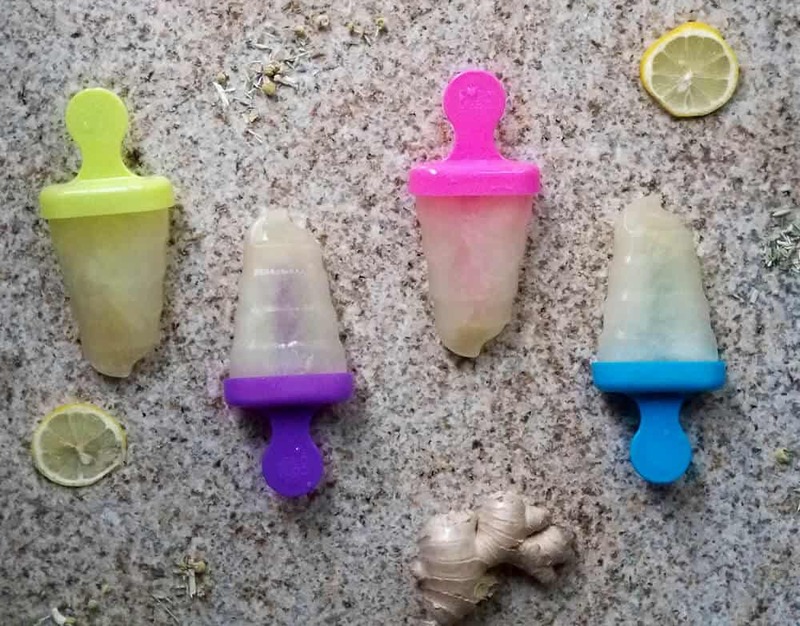 I used Chamomile, Lemon and Honey Popsicles for a Sore Throat, it’s really helpful. I was share this my friend this. he also well after consume this. This has got to be one of the roughest times of the year in our house. It seems like my kids bring home anything and everything from school. It can be so tough to make sure those germs stay away. These look like they are great products! Cold and flu season brings on additional woes as my daughter’s allergies flare up when she’s under the weather. I need to stock up too! Looks pretty good to me. I hate sore throats. I agree, regular hand washing is a must. I love your idea of making soap with a toy inside. What a great way to get them to keep hands clean and have fun! I need to get some popsicle molds so I can make some of these. The would taste great and feel so nice on a sore throat.